Today's Two for Tuesday is an all-flood special edition. You may have noticed these issues appearing annually as we look to highlight one of our marquee insurance offerings for Big "I" members. Together, Big "I" Flood and Selective's relationship helps deliver members an unparalleled flood program. We offer agents several layers of support to meet any and all flood insurance needs. Get to know the Big "I" and Selective staff and get your flood questions answered. With personalized support, competitive commissions, and an easy-to-use quoting platform, it is an easy decision to start writing your flood business through the Big "I" Flood-Selective partnership today. When it comes to your flood provider, why choose Selective? By placing your agency's flood book of business with Selective, you will enjoy competitive commissions while working with one of the most experienced and dedicated carriers in the marketplace. Skilled Territory Managers who travel the country facilitating Continuing Education (CE) classes, providing the knowledge and expertise needed to effectively speak flood. QuoteitNow - a self-service flood quoting tool that can be easily added to Selective appointed agency websites. In just a few simple steps, the QuoteitNow video walks customers through a flood application up to binding and directs them to contact the agency to finalize the process. Beyond the immediate benefits you'll enjoy when participating in the program, your flood business supports the important flood government advocacy work of IIABA. The Big "I" works tirelessly to ensure your interests as independent insurance agents are well represented on Capitol Hill. Becoming appointed to write flood business is easy. Simply contact Selective at 877-348-0552 or Floodunderwriting@Selective.com and identify yourself as a Big "I" member. If you are interested in "rolling over" your current book of flood business, contact your local Selective Flood territory manager. Selective flood territorial managers are situated around the country to assist you in rolling over your book of flood business and provide you with general NFIP information. 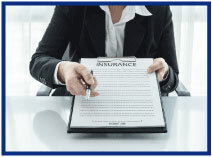 The NFIP's Insurance Agent-Focused website. This is an invaluable web resource for every agent. FloodSmart contains marketing materials, interactive website tools, flood insurance FAQ's, videos, etc. Sign up for e-newsletters and receive the most current updates from the NFIP. Find Big "I" Flood online at iiaba.net/Flood, or email BigIFlood@iiaba.net. Adding contents coverage to a flood policy provides customers an added level of protection in the event of a loss. It also provides your agency with a sense of security about errors and omissions risk knowing that contents coverage was offered. To help you market the contents coverage to your customers, you can use eMarketing templates and postcards that can be ordered through the Selective Online Marketing Portal. Easy to use, these tools are a great way for you to strike up a conversation with clients on the importance of having contents coverage in place. As an added service for you, Selective will review your flood book of business and identify policies without contents coverage in place. If you're already doing business with Big "I" Flood, contact Selective's Flood Business Development team at floodsales@selective.com today for a list of your policies without contents coverage. If you need any other assistance or have further questions, contact Selective at (877) 348-0552 ext. 1033 or 1023. Not yet registered with Big "I" Flood? It's easy to get started today. Simply visit www.iiaba.net/Flood for all the information you need to roll your book of business or begin selling flood insurance..
Why Offer Flood to Commercial Clients? There is one determination that every business owner - regardless of industry - needs to assess each year: how much flood insurance to purchase, based on the potential that a flood occurs. If history is any guide, thousands of business owners stand to be adversely affected by flooding. In the last five years, for instance, all 50 states have experienced floods or flash floods, according to the Federal Emergency Management Agency. Though there isn't a single state that's not at risk for flooding, the potential for high water levels is on the rise in the Atlantic. Miami, New Orleans, New York and Tampa all face an elevated risk in the coming years for a flood that could cost each city's economy $15 billion or more, according to an estimate from Risk Management Solutions. "Businesses that prepare for a disaster - which includes purchasing the proper insurance coverage ? stand the best chance of financially surviving," said Loretta Worters, vice president and consumer spokesperson for the Insurance Information Institute. Companies that operate in a coastal city or town are the most susceptible to flooding. The states with the total potential exposure to hurricane storm damage are all located adjacent to a major body of water, according to CoreLogic. Florida has the highest exposure to potential storm surge damage, followed by New York, New Jersey, Virginia and Louisiana. The Insurance Institute for Business and Home Safety has a web tool that allows business owners to determine their risk for flooding - as well as other natural disasters such as hurricanes, wildfire and hailstorms - simply by entering their zip code. The results can help owners decide the proper amount of coverage to purchase. You can use this tool when counseling your commercial clients on flood risk. Visit www.iiaba.net/Flood to access a link to this tool. Another way to assess a region's flooding potential is by staying informed. Advances in climate sciences and meteorological forecasts have enabled experts to predict more accurately the chances for flooding when a storm approaches. Sources include local weather stations, the American Red Cross, National Hurricane Center, and the National Oceanic and Atmospheric Administration. By staying in the know about flood risks in your area, you can share relevant information when conducting a review with your business accounts. Follow these organizations on social media and share flood information when relevant to help establish your agency as tuned into flood information. Generally speaking, flood coverage is available through the government's National Flood Insurance Program (NFIP). However, insurance companies, like Big "I" Flood partner Selective, offer excess flood insurance protection as well. Going through the NFIP, a business owner's flood policy provides up to $500,000 in building property coverage and up to $500,000 for contents coverage. Why Work With Big "I" Flood? Our partner Selective provides a quality of service that makes the flood policy quoting and issuance process easier and less frustrating. The Selective/Big "I" Flood program puts an emphasis not only on customer service, but also on education through Selective Territory Managers and guidance and support from a dedicated underwriter. 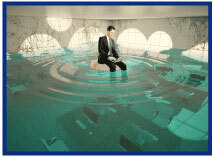 Expertise on both personal and commercial flood insurance coverages and claims. Selective offers direct access to dedicated and skilled underwriters, assigned individually to each agency - and not a third-party administrator's call center. Localized and experienced flood territory managers with significant knowledge of flood insurance. An enhanced quoting and policy issuance system. On site book roll-over assistance. Carrier-appointed claim adjusters and in-house claim examiners used following a flooding event. Notifications of important NFIP program updates. Access to free customizable marketing materials and campaigns. Participation in and support of Big "I" advocacy efforts on Capitol Hill. To find out more about Selective's commitment to providing the best flood insurance experience, or to begin a book roll today, visit www.iiaba.net/Flood. Congratulations to this week's winners - Morgan Ellis (PA), Jilie Seibold (SC), Megan Thomas (OK), Ed James (FL), & Kevin Morrison (GA).